Charges for use of vehicles vary depending on vehicle capacity, period of use, distance travelled and whether a paid driver is required for the journey. For instance, the cost of a typical journey from Bridgend Central to Cardiff Bay involving a hire of driver and vehicle for 5 hours would be around £100.00. 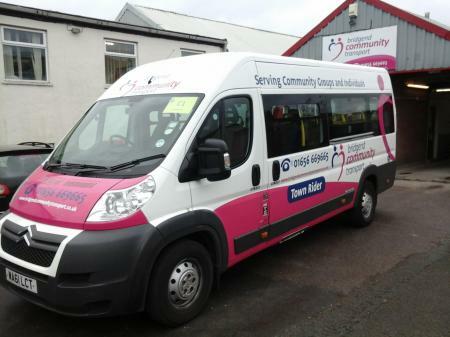 There is a minimum charge of £39.00 for all community group transport bookings and this covers the first 20 miles of vehicle use from base. All journeys are costed from base and include time taken by the driver for compulsory pre-journey vehicle checks. Vehicles can be booked with, or without driver, for as little as a few hours, a full day, or for as long as a few weeks and can be used for travel anywhere within the UK.